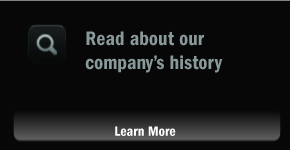 Since 1984, Abco Ornamental Iron Works has been Brampton and Southern Ontario’s custom fabricator and installer of iron fences, catwalks, framing, and railings. Whether you’re looking to restore a Heritage Home’s fencing and adornments, or just looking to give your project the sophistication and longevity that iron and steel provide, we can help! Why Create a Custom Iron Part? 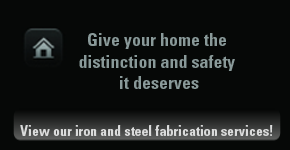 A custom-fabricated iron or steel part is created to meet your structure’s exact safety and design needs. This means no compromises in the quality of design, safety and appearance. For over 30 years, contractors have relied on Abco Ornamental Iron Works to complete fabrication and installation projects on-time and within budget. As the region’s only fabricator and installer, your adornment and structural needs can be met without having to coordinate two service providers. After each installation we perform a full clean-up, keeping your worksite clean and safe. Abco Ornamental Iron Works also offers iron welding and repair services for your part or structural adornment. This not only enhances the piece’s appearance, but ensures the part is safe to use in its structural capacity. 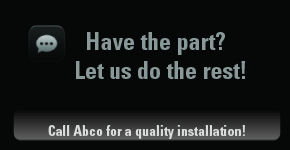 At Abco, we believe in the iron and steel fabrication and installation services we provide. That is why each part we fabricate, manufacture or install is protected with a full warranty and guarantee of your satisfaction. Abco Ornamental Iron Works’ fabrication, repairs and installations are available to contractors and the general public. Contact us today to get started on your custom-fabricated iron or steel project!